Welcome to University Lutheran Church (ULC)! At ULC, we welcome one another as Christ has welcomed us. 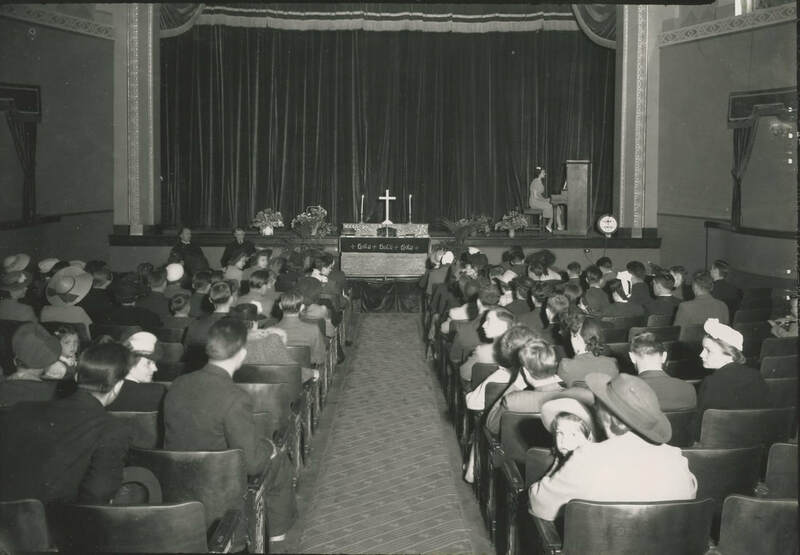 Since our simple beginnings in an East Lansing movie theater over 75 years ago, Jesus Christ has opened his arms to welcome and embrace all who come to ULC. Combining community and campus members, ULC is a unique Evangelical Lutheran Church in America (ELCA) congregation. We enjoy a vigorous life of worship, learning, fellowship, and service to our local and worldwide community. We invite you to join us in our faith journey! Learn more about the faith and teachings of the ELCA. We will continually strive to eliminate prejudice from our thoughts and actions and discourage prejudice by others at every opportunity.